Detroit is America’s great comeback story, a city on the upturn and ready for anything. The 2020 International Convention will take place in the heart of Detroit, where world-class restaurants and hotels will anchor your visit. Where riverfront views, beautiful parks and eclectic views are just a quick walk, bike ride or QLINE ride away. This is more than just a convention – this is an experience in America’s great comeback city. 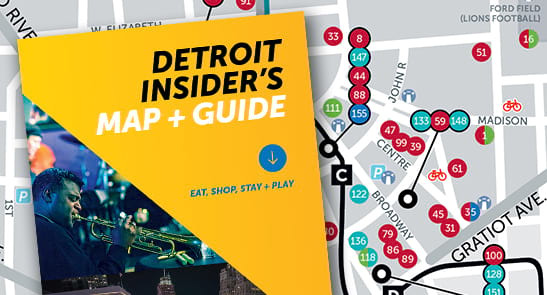 The Detroit Insider’s Map + Guide is a one-stop shop for finding downtown Detroit restaurants, attractions, nightlife, theater, retail and tours.